We begin with the Commentary from Friday, where we stated the markets would go higher early in the week giving us a nice rally which is precisely what we had through Wednesday 2/13. Thursday the futures again looked strong but quickly reversed on the poor retail sales numbers that came out at 8:30am. The markets sold down 283 points and clawed back to end the day with a very minimal loss. Friday the rally resumed with some positive news out of the China trade talk. Whatever the cause for the positive week it put egg among several market technicians faces who were calling for a market drop this week. Our week is an extremely positive week and has been for me for the past 20 years since founding this site. Those that want even more trade opportunities should visit our other site, One Day Wonder Options, where we issue weekly option trades only on Friday mornings. The plays for Friday 2/15 both garnered over 100% gains in less than 30 minutes. Looking ahead, we have some of our best months of the year for Options-Intelligence as we transition through spring through the fall. Per our analysis, February provides a welcomed rebound from the poor historical performance of the previous month. All key metrics are inline with the averages for the strategy as a whole which suggests this month should trade as expected. Note, there is no consistent winning option for this month (BCRM and YAHOO are no longer traded), pay close attention to the commentary for guidance. 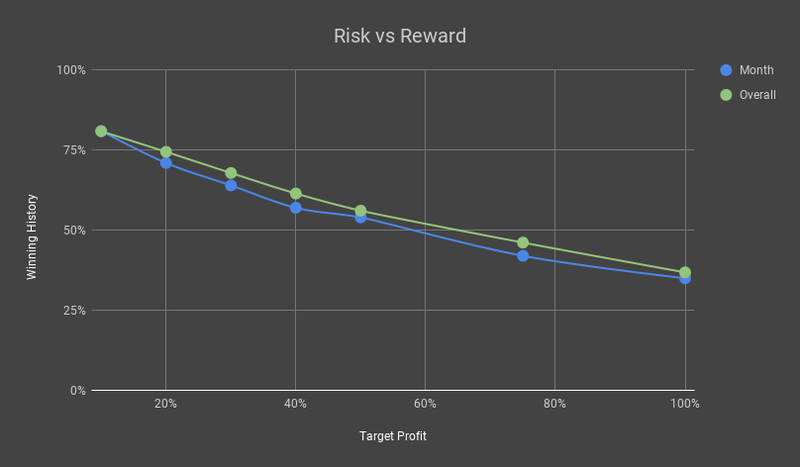 Stick with the standard target range of 30% - 50% returns as soon as they are presented. We will update this post after the trade week to recap the performance. Keep in mind we may no longer trade options for some of the stocks listed here. Remember, no matter how great the statistics are or how good past trades were, you must set realistic limit orders to trade this strategy profitably. We highly recommend member's focus on our own target profit goals! As always, make money and happy trading!